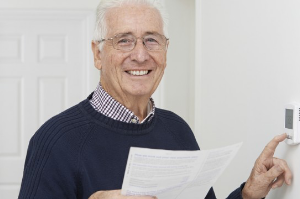 Do you qualify for the Government’s ECO boiler replacement scheme for pensioners? If you are a homeowner or rent privately and receive Pension Credit you can apply for a boiler grant. If you don’t receive Pension Credit, don’t worry you may still qualify because boiler grants are also available for the over 60s who are on Working Tax Credits. 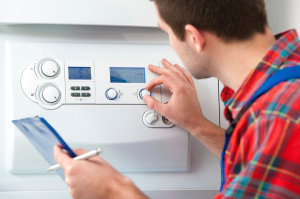 Grants are available to replace gas boilers that are broken or classed as inefficient. The general rule is that any boiler over 8 years old would most likely qualify. You have a gas boiler over 8 years old or one that is broken. Enter your postcode at the top of the page to start the application and one of our friendly customer service team will call you back. We’ll talk you through the process and find a Gas Safe registered installer in your area who can fit your new energy efficient boiler. We understand that some pensioners may find the process of applying online difficult. If you require help in applying, you can ask a family member, carer or friend to apply on your behalf. If you’re in privately rented accommodation you’ll need your landlord’s permission before applying. Who pays for the boiler? Boiler replacement grants are funded by the “Big Six” energy companies through the Government’s Energy Company Obligation, known as ECO. The UK government has energy targets to meet by 2020. Replacing inefficient boilers for low income households will help meet these targets and lower the amount of wasted energy produced by old boilers. The government backed scheme has been around since 2013 and will run until 2017 so there’s plenty of time to apply. It’s worth noting that 100% funding isn’t guaranteed and you may have to make a contribution towards the cost of the install. The boiler grant is for replacing the boiler unit only. If your central heating needs updating as well or remedial work is required you will need to pay for this separately. All attending companies will complete a survey of your property first and will advise of any extra costs, if any, before going ahead with any work so there’s no need to worry about getting a bill you weren’t expecting. You are not obliged to have the work carried out if you are not happy with any aspect of the process. 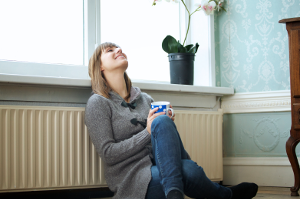 Will a boiler grant affect my winter fuel payment? No, if you qualify for a replacement boiler grant this will have no effect on your winter fuel payment. The winter fuel payment is a tax-free sum of between £100 and £300 to help pay your heating bills. Anyone receiving a state pension who was born on or before 5 July 1952 is entitled to this payment. If you do qualify for a boiler grant you will of course benefit from a more fuel efficient boiler so your winter fuel payment will stretch that little bit further. We’ve helped over 130,000 people apply for a boiler grant since 2013 and many have taken the time to let us know how happy they have been with our service. If you need some reassurance that we’ll look after you please read some of the kind comments we have received on our service.